It’s hard to improve on a machine that’s already as good as Honda’s incredible CBR1000RR C-ABS. You can build a faster bike or one with more power, but probably nothing that combines power, handling, riding quality, and overall build quality to the degree this versatile open-class sportbike does. And that’s a huge issue. Riders everywhere are rediscovering the fact that they want a motorcycle that sets high standards, but sets them in a balanced way. CBR riders have known that for decades. And they know another secret: a better balanced bike can actually be faster than one with just a lot of power. This year we’re again offering the CBR1000RR C-ABS in two versions, one with Combined Anti-Lock Braking System (C-ABS), the first ever on a production Superbike. Finding the sweet spot in Superbike design means attaining that perfect balance between power and handling-a balance point that allows the bike to function as an integrated, complete package for superior feel and performance. And that’s exactly what the Honda CBR1000RR C-ABS brings to the table. Credit the race-proven 999cc engine that smoothly pumps out huge midrange power and torque for class-leading real-world muscle. And the lightweight aluminum frame is equipped with a modern-design Big Piston Fork and Honda’s Unit Pro-Link® rear suspension system that features a patented Balance-Free Rear Shock-all to sharpen the CBR1000RR C-ABS’s renowned ultra-responsive middleweight-style handling. The aggressive bodywork isn’t there just for good looks; it’s also been designed and tested to provide the correct aerodynamic flow that aids high-speed handling. In short, the CBR1000RR C-ABS simply defines the pure essence of all that a liter-class sportbike should be. – C-ABS model available in Black. The compact second-generation HESD helps maintain predictable high-speed handling and low-speed maneuverability. Way more sophisticated than a simple fixed-rate damper, it’s one of the keys to the CBR1000RR C-ABS’s extraordinary handling. The CBR1000RR C-ABS’s full-screen LCD instrumentation includes a lap timer, trip and fuel-consumption computer, five-level customizable shift indicator, gear-position indicator and peak-rpm memory function. The CBR1000RR C-ABS’s Combined ABS (C-ABS) system is the first of its kind on a Superbike. Even the most critical motorcycle testers rave about how well they work. Find out what the experts have to say about this revolutionary feature. – Transferable one-year unlimited-mileage limited warranty; extended coverage available with a Honda Protection Plan. With their consistent rigidity and balance, these sharp-looking 12-spoke cast aluminum wheels work with the BPF fork to enhance suspension feedback to deliver real handling improvements. The CBR1000RR C-ABS’s front suspension uses a Big Piston Fork (BPF). The 43mm Showa fork is smoother and more responsive, and gives you excellent front-end feedback. 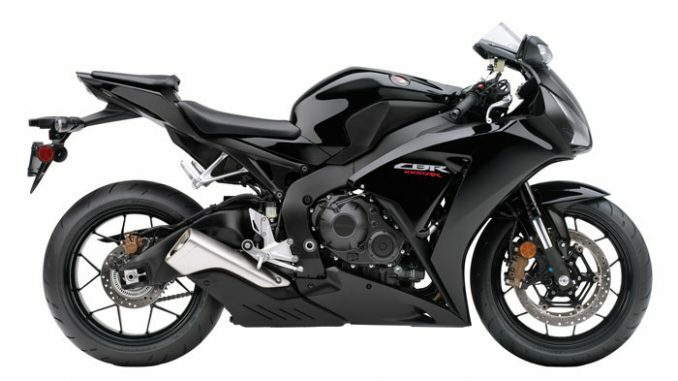 There’s no mistaking the 2013 CBR1000RR C-ABS, thanks to its Layered Fairing bodywork. Lean, mean, more aggressive from front to back, it’s a real attention getter, even when it’s standing still. Electronically controlled Combined ABS distributes brake force over both wheels, helping to maintain braking confidence in less than ideal conditions. The system electronically measures rider input on the brake lever and pedal and applies only the front or rear brake in some cases, or combines both brakes in other situations. Two sets of injectors per cylinder for both low- and high-rpm performance. Instantaneous high-rpm response, along with great low-rpm metering and clean running. Superbikes can deliver a great deal of backtorque through the driveline, upsetting handling. Not the CBR1000RR C-ABS. Its Honda-designed Assisted Slipper Clutch is the same type used on our MotoGP bikes. The design does away with the need for heavy clutch springs ensuring full power transmission with smooth shifting and a light clutch pull at the lever. Four-piece aluminum frame design balances strength, rigidity, and lightness. Wrapped tightly around the engine, the structure helps centralize the CBR1000RR C-ABS’s mass for more responsive handling–some of the best anywhere on two wheels. 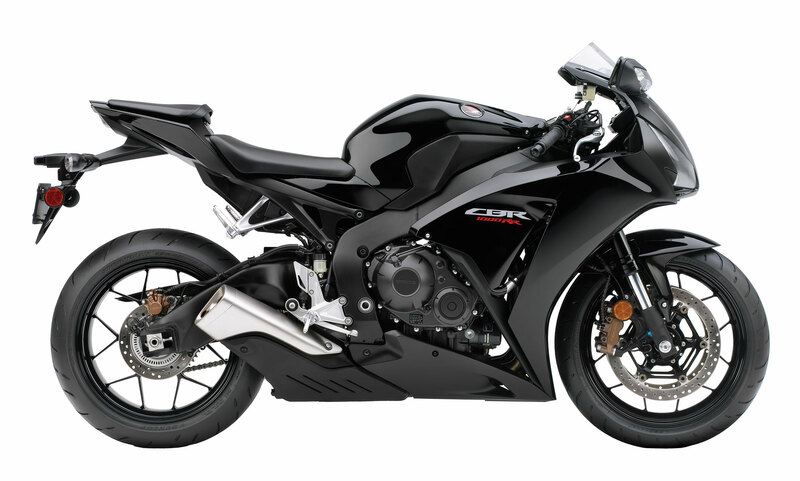 The CBR1000RR C-ABS features premium suspension front and rear. In the back, the Unit Pro Link design uses a Balance Free Rear shock that uses a double-tube design for smoother and more accurate response. The CBR1000RR C-ABS’s braced aluminum “gull wing” swingarm is deliberately long. That helps deliver improved traction and gives the rider excellent chassis feedback.